This review is a warning about the Cryptosaver scam that was made to lose your money. 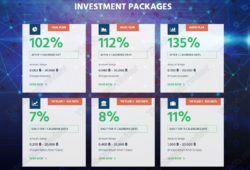 Cryptosaver Limited supposedly is a community of stock market traders specializing in high yield investments and cryptocurrencies. 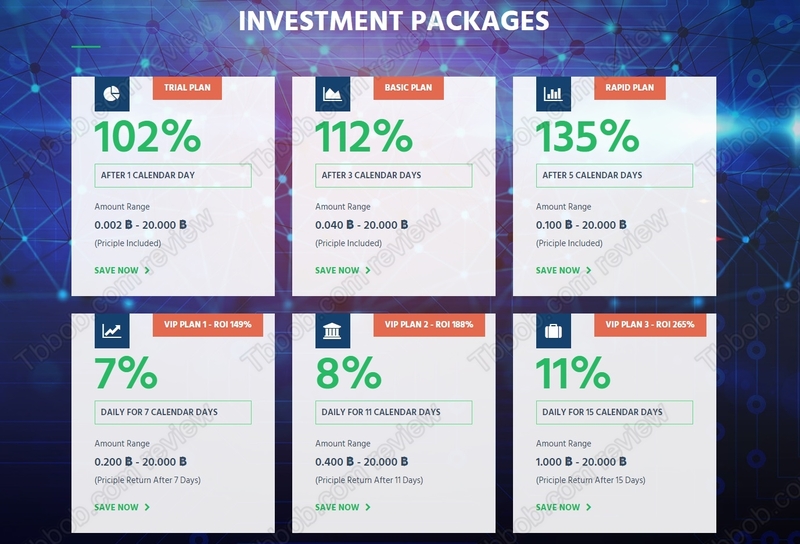 Cryptosaver offers several investment plans while allegedly guaranteeing the security and performance. For example, the rapid plan should give you 35% net on your investment after 5 days, which means 210% in one month. Truly? 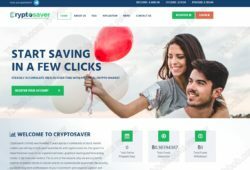 No, Cryptosaver won’t be tripling your money every month, because it is a scam. Just accept as a fact that no legit business in this world can bring you 210% net returns per month. This leaves us with only one option, Cryptosaver must be a scam. If it starts by paying profits, it clearly is a Ponzi scheme that uses new deposits to pay out withdrawals until the system collapses because of the lack of new money coming in. 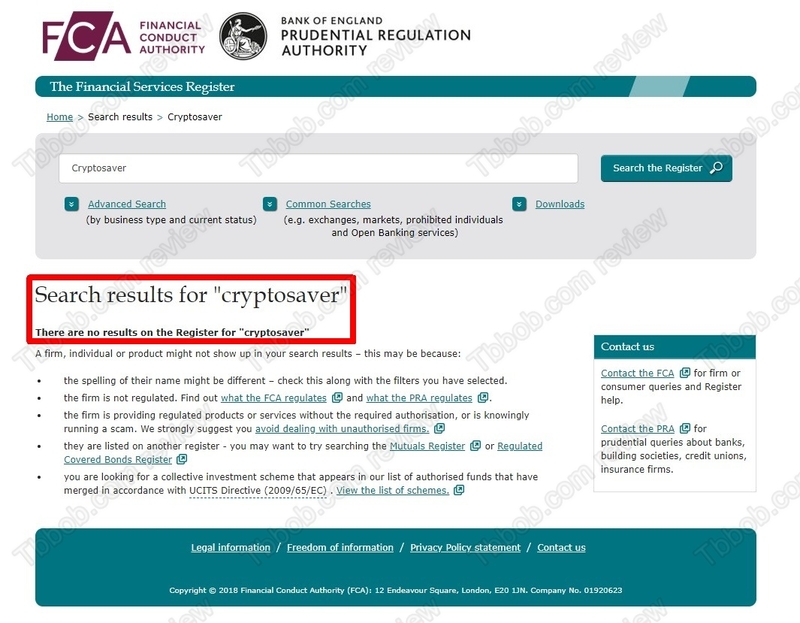 Cryptosaver Limited claims to be a company registered in the UK. While it’s true that there is a company of this name registered in the UK, it is not even one year old and it is not regulated. 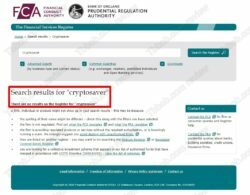 To offer investment services in the UK you need a licence from the FCA, but as you can see on our picture, Cryptosaver has no licence. Therefore it is an illegal operation. 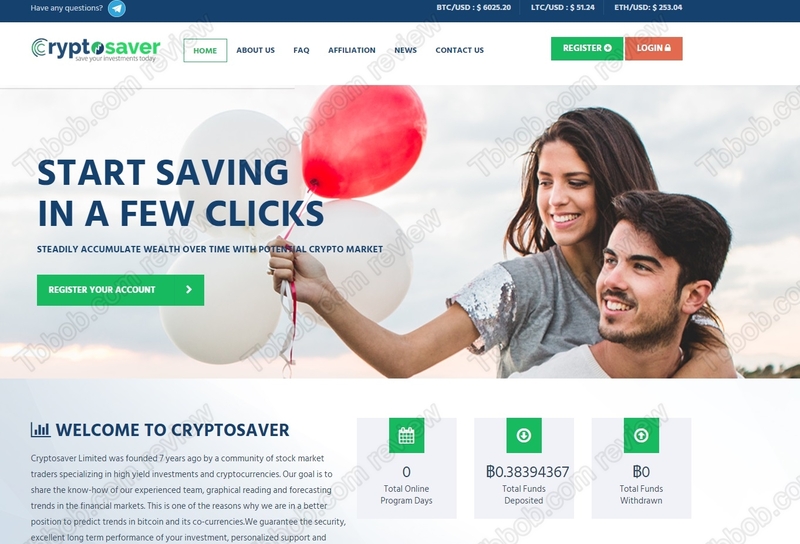 Cryptosaver is a common scam that will disappear as quickly as it appeared, but a lot of money will be lost in the process. Stay away from it. Real financial trading requires learning, patience and a good strategy. You can try it on a free demo with a regulated broker. Be sure to understand the risks if you decide to trade with real money.